So you’ve decided you’re going to create a blog? Great! If you’re starting a blog you might find WordPress.com to be the simplest and least expensive option. The primary difference between the two versions of WordPress is blog hosting. With WordPress.org you’ll have to find and pay for your own web hosting. With WordPress.com your blog will be hosted on their servers. Cost is also a factor. You can set up a blog that is completely free on WordPress.com. With WordPress.org you have to buy web hosting and your own domain. Expect to pay from $40-100 to purchase a domain and hosting. It should be noted that worldwide the majority of blogs run on the WordPress platform. While there are many options for blogging, serious bloggers almost always choose WordPress as their blogging platform. Because of the huge number of WordPress themes available (both free and premium) bloggers are able to make WordPress do just about whatever they wanted to. There is a third option when using WordPress as your blogging platform. Choosing a managed WordPress host will eliminate much of the maintenance and technical side of using self hosted WordPress.org, while still getting the flexibility of custom plug-ins and themes. While managed WordPress hosting is more expensive then shared hosting, it is a good choice for bloggers who don’t want to invest time in technical aspects of their site maintenance. If you don’t want to use this platform, check out these 3 WordPress alternatives. The feature that stands of the most inside of SquareSpace is their LayoutEngine technology. Longtime users of WordPress, or any other blogging platform, will notice this amazing feature right away. Click and drag images, re-size them, and adjust placement faster and smoother than any other blogging platform allows. Everything is laid out inside a perfect grid so everything is always properly aligned. Text, images, or blocks can be dragged to the exact location where you want them. Sites and blogs with SquareSpace are hosted in the cloud. Cloud web hosting is scalable and stable meaning is no downtime and no maintenance required by the blogger. Drawback to using TypePad: it isn’t free. Cost range from $8.95 to $29.95 per month. Each account comes with a free 14 day trial. Tumblr is a free microblogging platform. You can easily create attractive functional blog in a matter of minutes – and you can forward your own domain to your Tumblr blog. Tumblr lets you effortlessly share anything. Post text, photos, quotes, links, music, and videos from your browser, phone, desktop, email or wherever you happen to be. You can customize everything, from colors to your theme’s HTML. Short URLs: Short urls are useful when you’d like to share a link to one of your posts and you don’t have much space. If you’ve connected your blog to Twitter, you can grab the short url for any published post from the right column of the Edit screen for that post. Reblog between your blogs: Click “reblog” on any of your own posts to reblog it to any of your other Tumblr blogs. This popular blogging platform owned by Google is extremely easy to set up and has good online support. It has been said that a site run on Blogger receives SEO benefits by Google, although this hasn’t been verified. Primarily for hobbyists and personal blogs, LiveJournal has strong community. At time of posting, LiveJournal had 61.7 million journals and communities and over 120,000 posts in the last 24 hours. To practice your blogging or to share personal experiences, LiveJournal.com looks like a reasonable option. I can’t imagine a business, of any size, using this blogging platform. Even the creators a LiveJournal agree: posts on this blogging service don’t even show up in search engines and even offer the option to hide posts from some readers. If photography is a primary part of your blogging model, you might want to check out Jux.com. While the site is a little hard to navigate, the appearance of the content on the site is outstanding. Simply visit Jux.com and click “sign in” to get started. In addition to the standard features included with the free version, the Weebly Designer Platform offers a 100% white label solution. White label means that all the branding from Weebly is removed and replaced with your company logo, color scheme, and domain name. This platform allows you to resell this service. Learn more about white label blog platforms. With a focus on sharing and creating more content, Posterous manages the technical back-end of your blogging. They offer the ability to create a private or public space (“space” is how they refer to what we know as a blog) controlling who sees what content. A company blog has become an indispensable component of every website and company marketing plan. Writing great content isn’t enough. Some blogging platforms actually limit your search engine exposure, while others look so bad that it will distract from your message. Take your time as you choose your blogging platform. Many of them have free trials – sign-up for the one you like and try it out. Wait until you are confident in the platform before you promote it. 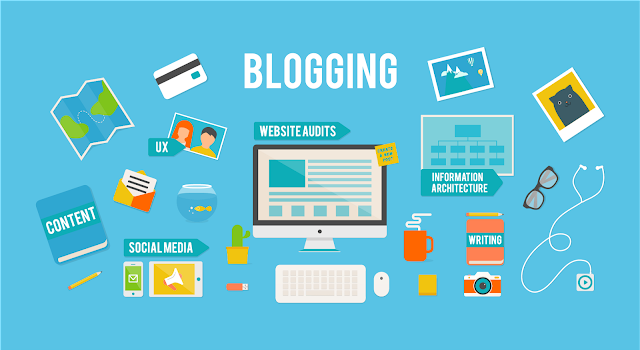 Blogging is an important component in starting your online business.